This bookbrings together essays from leading scholars who, rather than taking a strictly exegetical approach, attempt to show how discussions in moral philosophy can benefit from Wittgenstein’s later philosophical work. 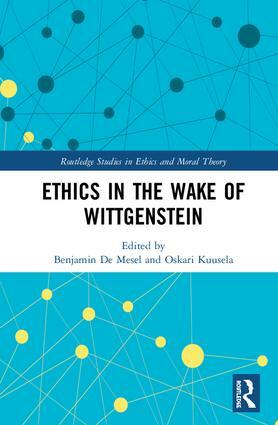 The essays in this volume make the argument that Wittgenstein’s relevance for moral philosophy depends not only on his views about ethics, but also on the methods he introduces, on his views on the nature of philosophy and philosophical problems, and on the insights into language developed in his philosophy. They also focus on the ‘Wittgensteinian tradition’ in moral philosophy and its relation to more mainstream analytic moral philosophy, addressing how several prominent philosophers use these ideas and methods in their work. Ethics in the Wake of Wittgenstein seeks to answer the following question: Can we apply Wittgenstein’s ways of dealing with problems in logic, philosophy of language, epistemology, philosophy of mind, and philosophy of mathematics to moral philosophy as well? It will be of interest to Wittgenstein scholars and those working on current debates in moral philosophy, metaethics, and normative ethics. 8. Reasons to Be Good? Benjamin De Mesel is a Postdoctoral Fellow of the FWO (Research Foundation Flanders) at KU Leuven, Belgium. He is the author of several articles on Wittgenstein and moral philosophy, and of The Later Wittgenstein and Moral Philosophy (2018). Oskari Kuusela is Senior Lecturer in Philosophy at the University of East Anglia. He is the author of The Struggle against Dogmatism: Wittgenstein and the Concept of Philosophy (Harvard UP, 2008), Key Terms in Ethics (2010), and Wittgenstein on Logic as the Method of Philosophy (2018).